Apparently Tony Stark isn’t the only unique character in Iron Man 2 movie, so if you want to try new characters on your iPad, the Vanko Drone iPad decal may be suitable for you. This is a full-color iPad decal themed by Iron Man 2. The vinyl decal is cut into a look of Ivan Vanko’s drone suit with a shiny Apple logo. As we can see from the image, the iPad decal features exquisite detail and impressive gloss effect. And the repositionable vinyl decal allows you to apply it over and over. and it can also be removed without leaving any residue. 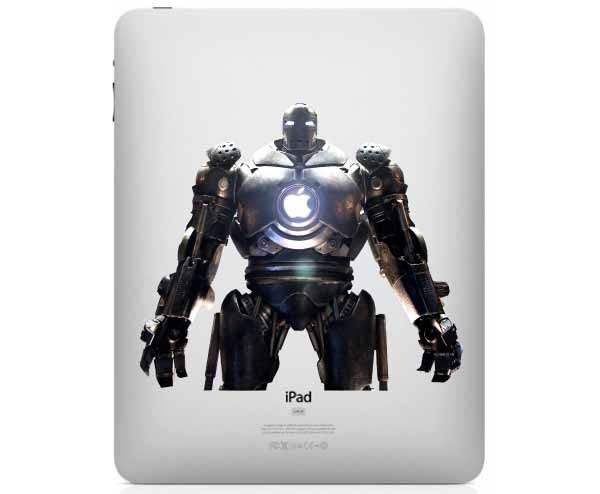 The Iron Man 2 Vanko Drone iPad decal is priced at $6.99 USD. If you’re interested, jump to Etsy for more details. Additionally, if you prefer Iron Man, you might like to check Iron Man in Mark V Armor iPad decal.